When we talk about the direct traffic in Google Analytics, two fundamental root errorsoften emerge , among non-professionals but not only, on what the meaning of this item is. The first is that direct traffic is almost exclusively attributable to users who have written extensively on the URL of your site in their browser (or have clicked on a bookmark / link in their favorites). The sevondo is that it is a negative factor, not because it penalizes the performance of the site, but because it does not allow a more in-depth analysis of the data. The goal of this article is to unravel a little ‘fog around what is the traffic directed in Google Analytics , helping you to understand why it happens that Analytics loses data on the channel of acquisition of the user (social, email, advertising, etc. ). We will also look at some tactics to reduce the amount of direct traffic in your Analytics reports. 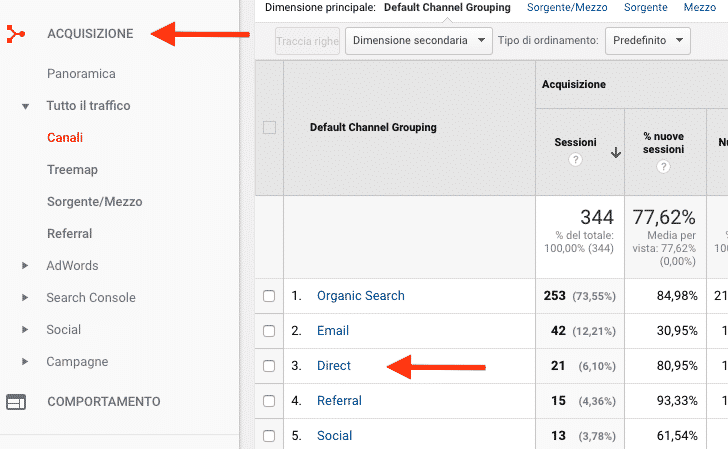 In a nutshell, Google Analytics reports Direct as the acquisition channel when it has no data on how the user arrived to visit your site, or when the source was configured to be ignored. See it this way: direct traffic is the B-plane of Analytics that triggers when its algorithm fails to attribute the user’s session to a particular source. To understand the causes and remedies for the attribution of traffic such as Direct, it may be helpful to understand exactly how Google Analytics analyzes and processes the traffic sources. This excellent graph created by Moz clearly provides you with the idea of ​​how the Analytics algorithm works. It should be noted that direct traffic is the last available option at the end of the chart. 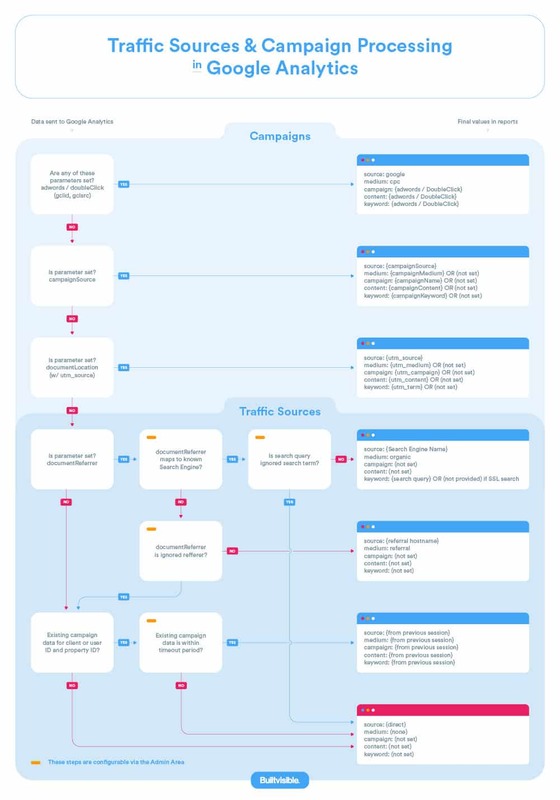 Google Adwords parameters -> Campaign parameters -> UTM parameters -> Search engine traffic -> Referral from another website -> Previous campaign within the timeout limit (default is 6 months) -> Direct traffic.